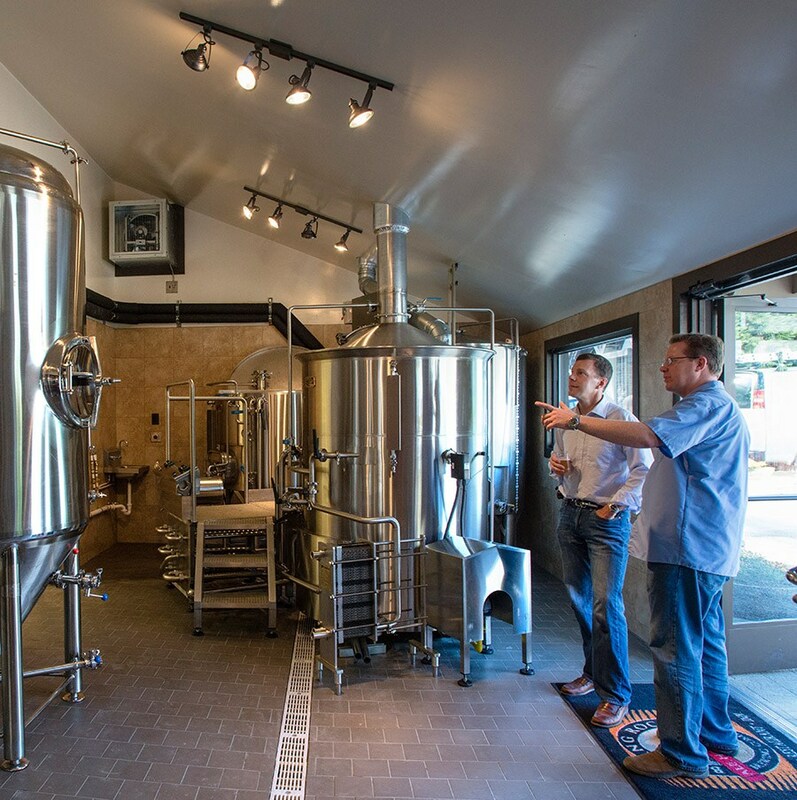 Our founding Blowing Rock Brewery is a custom designed, state-of-the-art boutique brewing facility located in the heart of Blowing Rock. It is Blowing Rock’s first brewery and has the capabilities to make both standard and high gravity ales and lagers. This brewery was specifically designed to bring modern, cutting-edge technology to a scale small enough for our team to give each brew the attention it deserves. The brewing system includes a 5BBL mash/lauter tun, a 5 BBL direct fired brew kettle, a 15 BBL hot liquor tank, 2×5 BBL fermenters, 2×10 BBL fermenters, one 5 BBL and one 10BBL bright beer tank. This brewery incorporates new methods of equipment customization and energy efficient systems to assure better quality brews. This brewery has won awards and recognition for being one of the nicest breweries of its size, and for its ability to create fantastic representations of new and existing styles of beer. The brews crafted here make up our Ale House Series and are sold on-site at our Blowing Rock Ale House by the pint, growler and keg. Several of our Ale House Series beers are available off-site at select locations as well. Brewery tours are available on Saturdays from 1pm-5pm. Our hickory brewery is located within the historic Hollar Mill Plaza that dates back to the early 20th century. 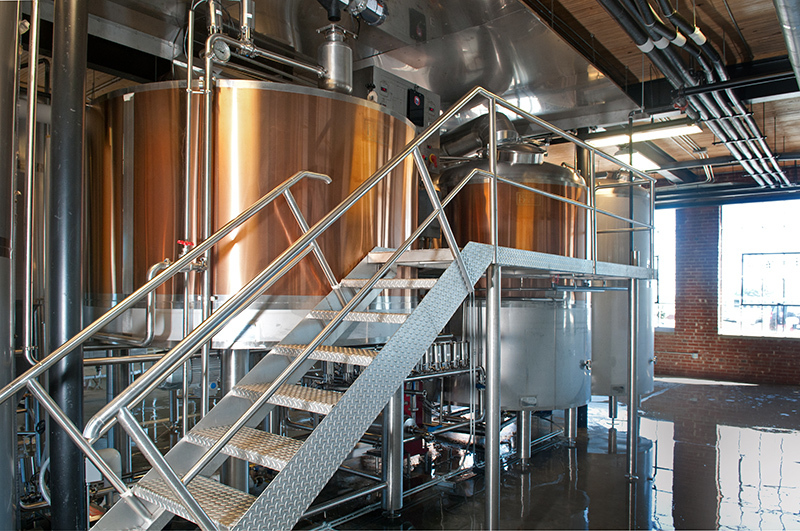 This 30 BBL production brewery and canning line spans across 6,000 renovated square feet and provides ample space for brewing, fermentation and packaging. This state-of-the-art brewery enables us to better distribute our brews to retailers and restaurants statewide. The brewery is designed to specialize in the crafting of our flagship Legacy Series that includes Blowing Rock High Country Ale, Blowing Rock IPA, and our four rotating Blowing Rock seasonal beers. By specializing our on-site brewing, we ensure that a larger quantity of our Legacy Series does not mean less quality. Package formats include 24x12ozx6pk aluminum cans, and 1/6 and 1/2 BBL kegs. All are distributed statewide by Tryon Distributing. Brewery tours are available to every customer. We also offer educational tours for fermentation science studies at Lenior-Rhyne University and Appalachian State University. Internships with our brew team are also available.